In July, mow your grass to no-less-than 2-12″ in height – remember to never remove more than 1/3 of your grass’ growth. Avoid using high-nitrogen fertilizers on trees starting in mid-July until February of the next season. 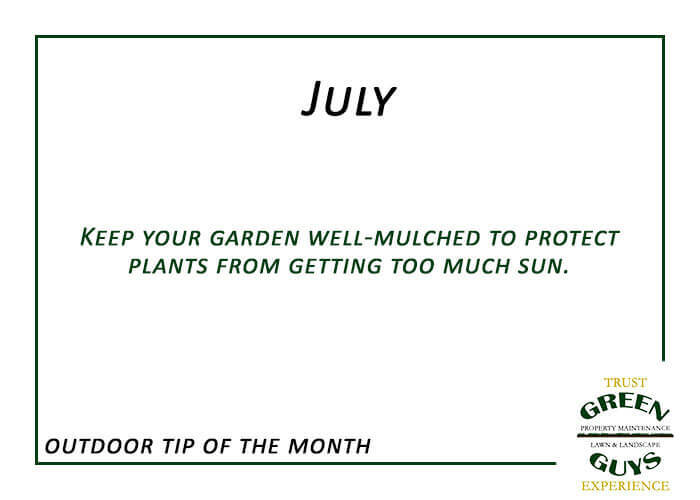 Keep your garden well-mulched to protect plants from the sun in the heat of the day. Adjust your sprinkler system depending on the amount of rain received.